No, definitely a big 'NO', if you happen to thought this because the site is not responding, or unable to open or getting crashed or some other errors you getting, it is not because the site is a scam or Google has banned the site, but it is because of the site getting into new servers. 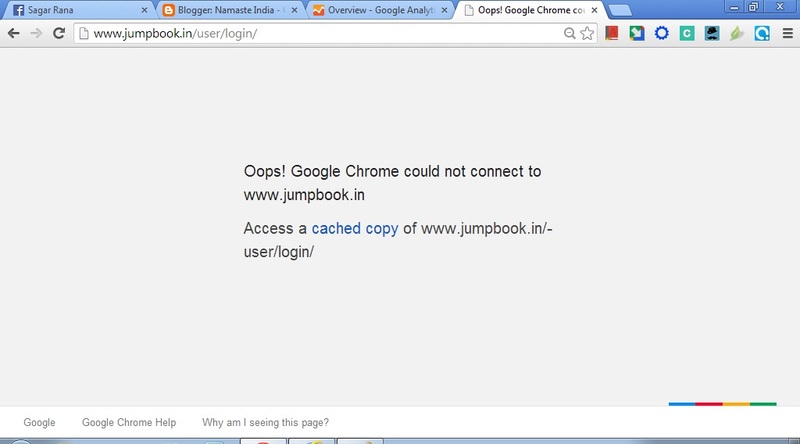 Jumpbook is on trend now and is almost on dozen of the news portals, got around 60,000+ visitors on a single day (2nd Sept'13), that made the site non-responsive, so you may have to wait for the site to respond. We talked to the founder of Jumpbook relating to crashes reports and non responsive reports for Jumpbook, and Nilay Singh one of the co-founder of Jumpbook informed us about the server upgrade they are doing now. He also informed about the media reports, mostly due to Yahoo news report where Jumpbook was on trend, due to which site getting huge traffic and hence got crashed because previous server was not capable of handling these many users at a single point of time. Nilay and Ankur the founder members of Jumpbook has also asked the local govt, that is the govt of Bihar (Nitish Kumar) to look upon the site and help them financially to upgrade to better servers and applications. The creators are also struggling hard to make the site a success, and for that they are asking for financial support for the maintenance of the site. Indoscopy was among the first portal to let the internet world know about the launch of "desi version of Facebook" or Indian social networking website. 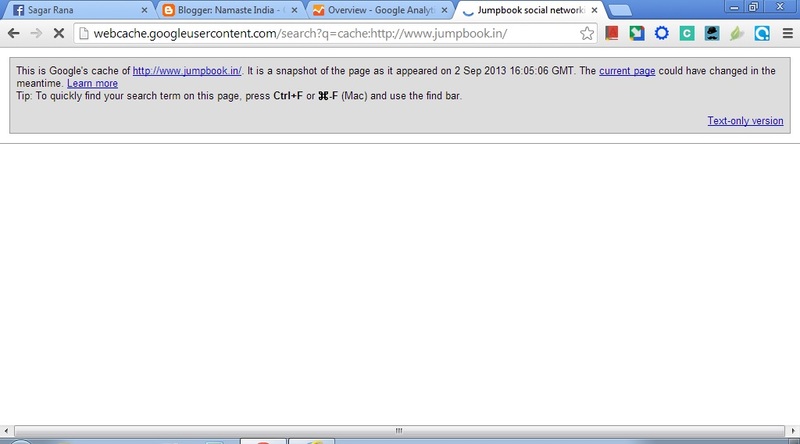 Read the details here Indian Social Networking site Jumpbook. 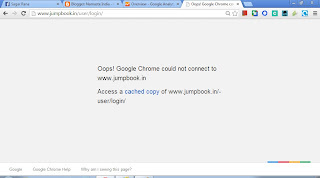 If you had got these kind of pages on trying for Jumpbook.in, then it's only because of server jamming and not because of site being spammed. So, better wait for 5 to 10 minutes and try them again, hopefully site would have recovered by that time. Happy Jumpbooking. 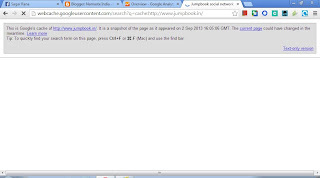 Jumpbook is really very promising and gives you almost everything, from Blogging, Forum to E-commerce. It's an one stop for all your needs. Be there to know the latest buzz on internet. Jumpbook coming to rock the world as said by the creators of the website.